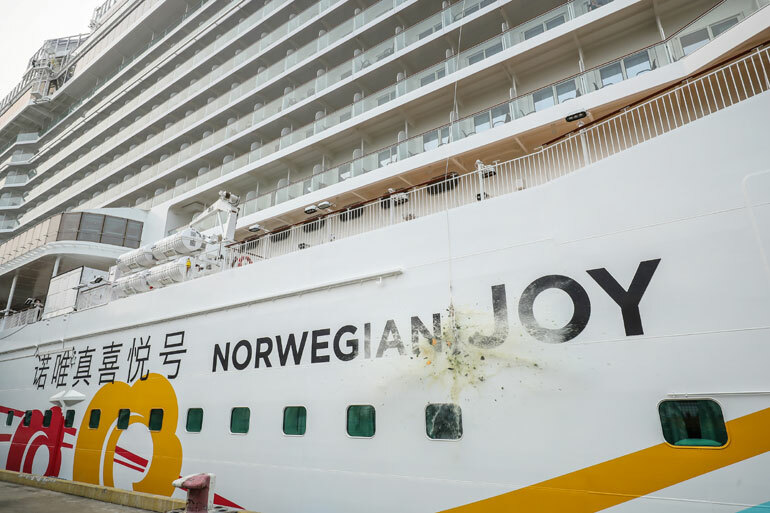 Norwegian Joy which is newest cruise ship for the cruise line has officially been christened in Shanghai, China. The newest Norwegian Cruise Ship was christened in China at a Gala ceremony in Shanghai, China. The lavish christening ceremony took place today with a performance onboard by Norwegian Joy’s godfather Wang Leehom. There were a some epic performances on Norwegian Joy which is the first purpose-built vessel for the Chinese market by NCL. The festivities climaxed when the ships godfather and cruise line executives simultaneously smashed bottles of champagne against the side of a replica ship hull, which released an oversized bottle of Veuve Cliquot that shattered against the ship’s actual hull. Wang Leehom ended with a performance for VIP and Western guests who were on the ship. Leehom is not just godfather to the Breakaway Plus class ship but also the brand ambassador for Norwegian Cruise Line in China.